He received his B.A. degree from Columbia University in 1985. He worked at Kofisa Trading for one year. After completing his MBA at Columbia University in 1989, he worked at Ramerica International Inc. He joined Koç Group in 1990 and worked at Gazal A.Ş. He held various senior positions at Koç Holding including Finance Coordinator, Vice President and President of Energy Group. He became member of Board of Directors in 2004 and Vice Chairman in May 2008. On February 22, 2016, he was appointed as the Chairman of Koç Holding. He is also Chairman of Turkish Educational Foundation Board of Trustees, Chairman of Koç University Board of Trustees, President of Geyre Foundation and Chairman of Yapı Kredi Kültür Sanat Yayıncılık Board of Directors. He became a Tüpraş Board Member in 2006 and has served as Chairman of the Company since 2008. Trustees of the Vehbi Koç Foundation, Chairman of the Board of Trustees at Koç University, Founder and Chairman of Rahmi M. Koç Museum and Cultural Foundation, Chairman of Vehbi Koç Foundation American Hospital, Founding Member and Honorary Chairman of TURMEPA (Turkish Marine and Environment Protection Association), Honorary President of the High Advisory Council of TÜSİAD (Turkish Industry and Business Association), Member of the Advisory Board of TİSK (Turkish Confederation of Employers Associations), Honorary Member of the Foreign Policy Association, Honorary Member of the New York Metropolitan Art Museum’s Board of Trustees and Founding President of the Global Relations Forum. Mr. Rahmi M. Koç received Honorary PhDs from; Johns Hopkins University, Eskisehir Anadolu University, İzmir Ege University, Ankara Bilkent University, Constanta Ovidius University and Aydın Adnan Menderes University. Rahmi M. Koç was honored with the “State Medal of Distinguished Service” by the President of Turkey, “Grosses Verdienst Kreuz” (Great Cross of Merit of Germany) by the German government, “Order of Merit of the Italian Republic” by Italy. The Presidency of the Republic of Austria honored him with the Order of Merit and Mr. Rahmi M. Koç was appointed to the rank of (Honorary) Commander of the Most Excellent Order of the British Empire (CBE) and Mr. Rahmi M. Koç was honoured with the most prestigious order of French government "Officier dans L'Ordre National de la Legion D'Honneur”. 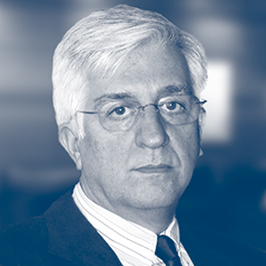 Mr. Koç has served as a Member of the Board of Directors of Tüpraş since 2008. 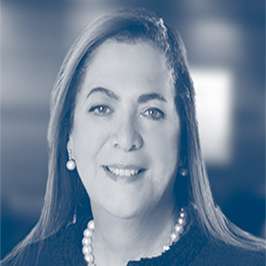 She began her career in 1964 as a member of Koç Holding Board of Directors, a position she continues to hold. In addition, she is the Chairman of the Board of Directors of Vehbi Koç Foundation, Chairman of the Divan Group Board of Directors, Chairman of Semahat Arsel Nursing Education and Research Center and Second Chairman of Florence Nightingale Foundation. She is also the founder of Koç University School of Nursing. Mrs. Semahat S. Arsel has been a member of Tüpraş Board of Directors since 2009. Levent Çakıroğlu graduated from Ankara University, Faculty of Political Sciences, Department of Business Administration. He went on to earn his master’s degree at the University of Illinois. Mr. Çakıroğlu began his professional career as an Auditor at the Ministry of Finance in 1988. From 1997 to 1998, he taught as a part-time instructor at Bilkent University, and served as Vice President of the Financial Crimes Investigation Board at the Ministry of Finance. He joined Koç Holding in 1998 as Financial Coordinator. Subsequently, he worked as the General Manager at Koçtaş (2002-2007) and General Manager at Migros (2007-2008). In 2008, he was appointed General Manager at Arçelik while at the same time serving as President of the Consumer Durables Group at Koç Holding from April 2010. 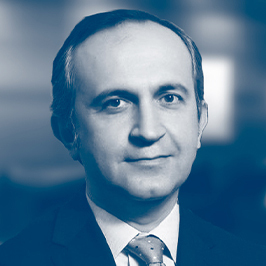 On February 17, 2015, Mr. Çakıroğlu was appointed Deputy Chief Executive Officer at Koç Holding. He was later appointed Chief Executive Officer at Koç Holding, after the Ordinary General Assembly meeting held on March 31, 2015. Since March 30, 2015 Mr. Levent Çakıroğlu has been on the Board of Tüpraş. Erol Memioğlu is a graduate of the Middle East Technical University’s Petroleum Engineering Department. He started his business career in 1979 as Senior Engineer at the Turkish Petroleum Corporation (TPAO) and later became Production Manager and President of the Overseas Projects Group. He was appointed Vice President at the Koç Holding A.Ş. Energy Group in 1999, later served as an Executive Board member at Koç Holding Energy Group from 2003 to 2004; between May 2004 to April 2016, he has served as President of the same Group. He has been a Board member of Tüpraş since 2006. Mr. Yağız Eyüboğlu started his professional life as a Management Trainee at Arçelik A.Ş. in 1991. In 1993, he was promoted to Koç Holding Headquarters, where he worked for more than 10 years, as Senior Internal Auditor, Assistant Financial Coordinator and Financial Coordinator, respectively. Between 2004 and 2009, Eyüboğlu assumed several responsibilities within the Koç Group, namely, CFO of Arçelik A.Ş., CEO and Board Member of Beko Elektronik A.Ş., Assistant to the President of the Koç Holding Foreign Trade and Tourism Group, and Human Resources Director of Koç Holding. In 2009 he joined Aygaz A.Ş. where he served as the C.E.O. of the company until October 2015. Following his assignment to Koç Holding as the Deputy President of Energy Group in October 2015, he is now serving as the President of Energy Group at Koç Holding since April 2016. Mr. Yağız Eyüboğlu is also a Board Member of Koç Group's various companies and several non-governmental organizations. Since April 4, 2016 Mr. Eyüboğlu has been on the Board of Tüpraş. Zafer Sönmez graduated from Istanbul University, Department of Business Administration. In 1997, Sönmez began his professional career at Interbank in the Audit Department. Between 2000 and 2003, he worked at Dışbank and he served at MNG Bank in 2004. Between 2010 and 2011, Sönmez served as Corporate Banking Director at the Istanbul Branch of Royal Bank of Scotland. Between 2005 and 2010, he held management roles in the Portfolio Management and Corporate Banking Departments. In October 2013, he took part in the establishment of Khazanah Turkey Regional Office and between 2012 and 2013, he served as the Senior Manager of the Middle East and Central Asia of Khazanah Nasional Berhad in Turkey. Between 2017 and 2018 he was responsible for Khazanah Turkey Regional Office's investments in the Middle East, Central Asia, Eastern Europe and North Africa and led the Khazanah Africa team. He also served as a member of the Board of Directors of Acıbadem Sigorta between 2013 and 2018, Acıbadem Health Group between 2017 and 2018 and Sabiha Gökçen International Airport between 2016 and 2018. 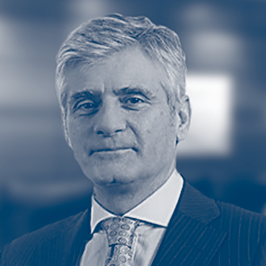 Zafer Sönmez, who was appointed as a Member of the Board of Directors and the General Manager of Turkey Wealth Fund in September 2018, is also the Vice Chairman of Board of Directors of Borsa İstanbul and a Board Member of PTT. Muharrem Kayhan received education at St. Joseph French School and Robert College of İstanbul. He got his Engineering Degree in Textiles in 1976 from the University of Manchester in England. He received his MBA from Cornell University in 1978. Muharrem Kayhan is presently Chairman of the boards of Söktaş and its subsidiaries. He has represented the interests of the Turkish textile industry in various European Union platforms while serving on the boards of the Aegean Chamber of Industry, the Exporters’ Union, and the Turkish Textile Employers’ Union. He served as the Chairman of TÜSİAD between 1997 and 1999, and is now an Honorary Chairman. Muharrem Kayhan serves on the Board of Trustees of Robert College the İzmir Culture, Art and Education Foundation, and Bizim Okul Foundation. He has represented Spain as Honorary Consul in İzmir since 2003. He is the recipient of the Turkish National Assembly Distinguished Service Award (2009). After completing her high school education at Ancaster House School, she got her bachelor’s degree in economics and her master’s degree in financial management and control from the University of Southampton, U.K. After working as a research assistant at the same University, she continued her career as a Planning Manager at Shell in 1980. She held various positions at Shell Turkey, before being appointed as its General Manager in 2002 and Shell Turkey National Manager in 2006. She sat as a member on the Board of Directors of Shell-Turcas Petrol A.Ş. After receiving his degree in business administration from the Middle East Technical University, Kamil Ömer Bozer completed a master’s degree at Georgia State University in U.S.A. He began his career as a management trainee at Koç Holding A.Ş. in 1985. After serving as Deputy Chief Executive of Maret A.Ş. from 1990 and as General Manager of Düzey A.Ş. from 1995, he became General Manager of Migros Türk T.A.Ş. in 2002. He was appointed President of Food, Retailing and Tourism Group in 2005. He served as President of Food and Retailing Group between 2006 and 2008, and once again as President of Tourism, Food and Retailing Group from 2009 to April 2011. From 2012 until the dates of their respective General Assembly Meetings in 2018, Mr. Bozer sat as an independent member on the Boards of Directors of Anadolu Efes Sanayii A.Ş., Anadolu Isuzu Otomotiv Sanayi ve Ticaret A.Ş., Adel Kalemcilik Ticaret ve Sanayi A.Ş. He is also an independent Board member at Boyner Perakende A.Ş. and Söktaş Tekstil A.Ş., in which positions he still serves. Additionally, he was a member on the Boards of Directors of Carrefoursa A.Ş. and Teknosa Ticaret A.Ş. from 2016 until the beginning of 2018.